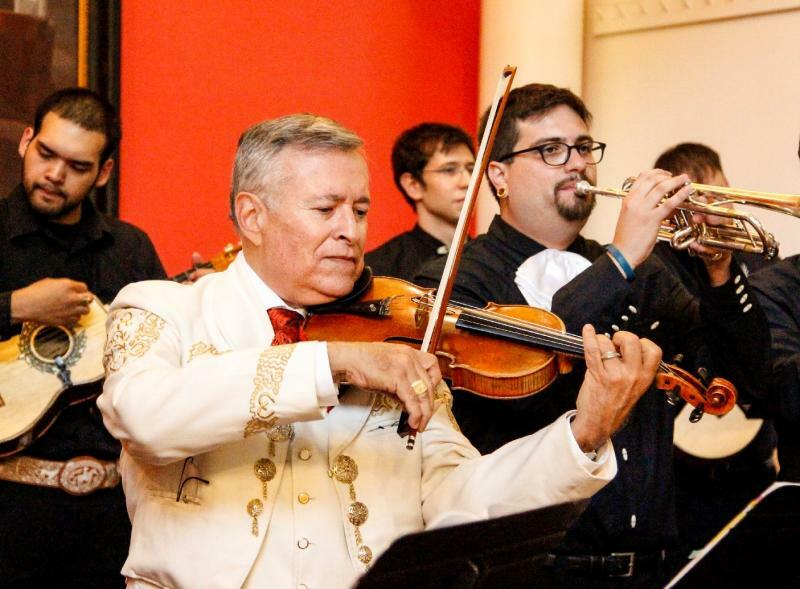 The Southwest Musicians began as a family troupe of three generations including his aunt, Eva Nuanez, father, Filbert Trujillo, son - Dr. Lorenzo Trujillo, Jr., and The Southwest Dancers directed by his mother, Orie Trujillo. Since 1976, the group performed in numerous venues throughout the Southwest United States. As the older generation retired, new members joined the group to continue the traditions of the 1840’s of Southern Colorado and Northern New Mexico. Members have roots in New Mexico and in Southern Colorado. Their performances have included such venues as: Old Bent's Fort, The Chicano Music Festival, The Fort, Tesoro Cultural Center, The Spanish Market, Taos City Auditorium, Santa Fe Fiestas, The San Luis Fiestas, Chile Harvest Festival, Denver Civic Theatre, El Centro Su Teatro, Concerts in Rome, Italy, Lima, Perú, and San Felipe, Baja California, Morelio Mexico, and many others. The group has released numerous CD’s over these years of old-time dance tunes that were popular in the early pre-United States period of Colorado and New Mexico. Their music has been handed down through many generations of family musicians who have taught their music by ear and practice. Dr. Trujillo holds two doctorates: Doctor of Education and Juris Doctor. He currently works as a performing and teaching musician under Lorenzo A. Trujillo and The Southwest Musicians, teaches in the Music Department of the Metropolitan State University in Denver, as Director of Hispanic Music at the Conservatory of Music for the Cathedral/Basilica at the Immaculate Conception in Denver, and as an attorney in private practice.﻿ Visit www.trujillolegal.com for more information on legal services available.